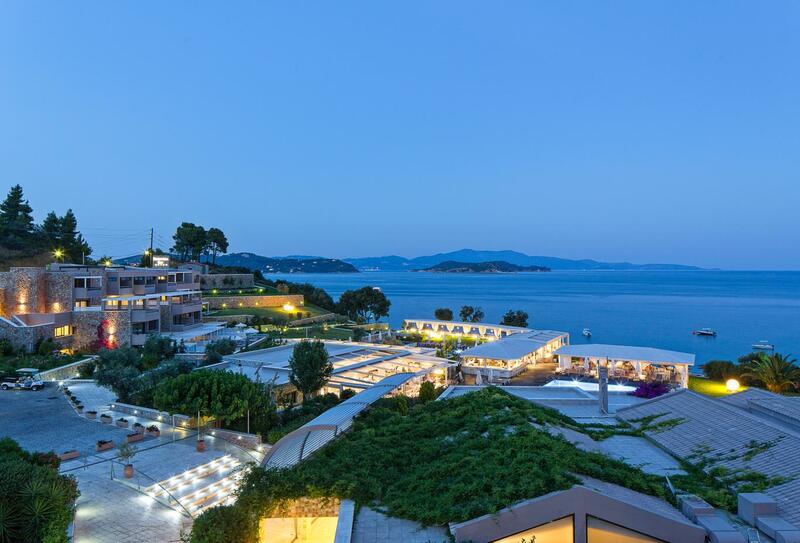 KB Suites & Spa is a five star resort that forms part of the Kassandra Bay Resort Complex on the island of Skiathos in the gulf of Vasilias. This adult-only sanctuary presents a beachside oasis of calm inspired by surrounding ocean, olive groves and lush gardens. 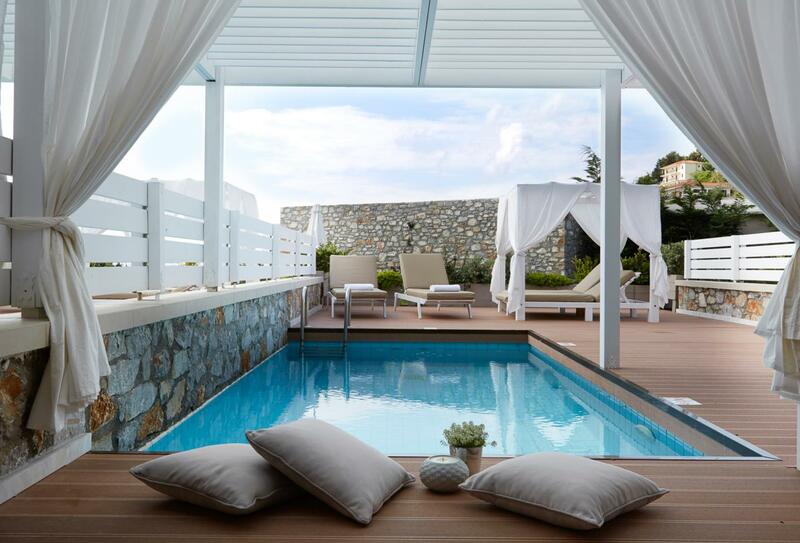 The resort offers direct access to Vasilias beach and has two salt-water swimming pools where private gazebos provide a romantic escape. 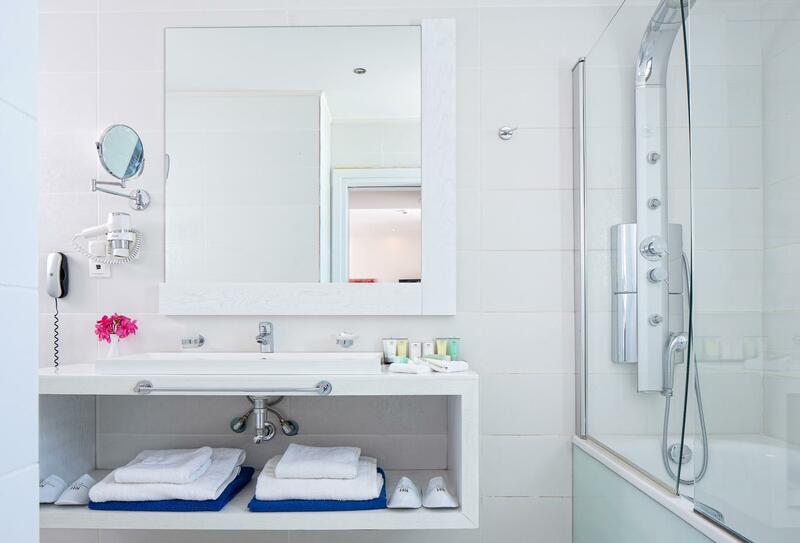 The 28 sophisticated suites are bright and airy and include indulgent features such as colour & aromatherapy Jacuzzi tubs. Dining comprises fine a la carte, vibrant buffet and tempting all day snacks plus sensational cocktails and fine wines. Enjoy moments of complete relaxation at KB Spa, invigorating water sports or inspired pilates and yoga classes; your days at KB Suites & Spa will be filled with attentive service to help you enjoy a blissful stay. 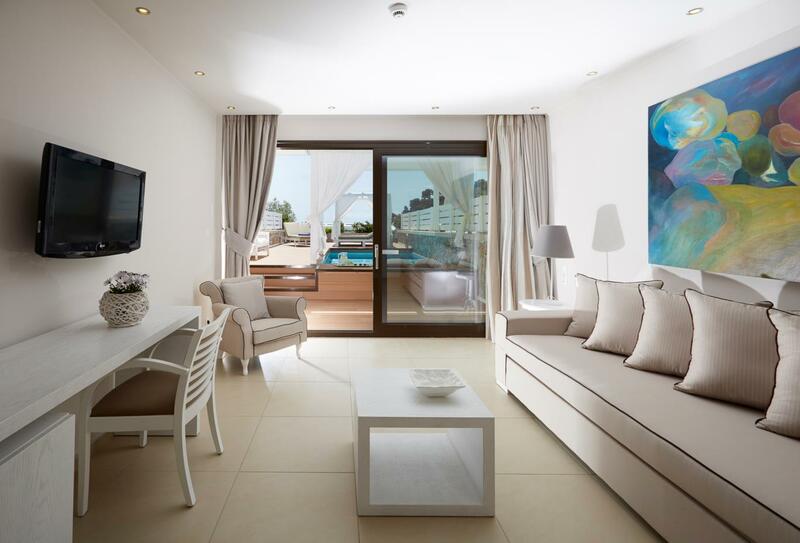 These suites include a separate living area with plenty of natural light and lead out to a private balcony overlooking views of the sea. 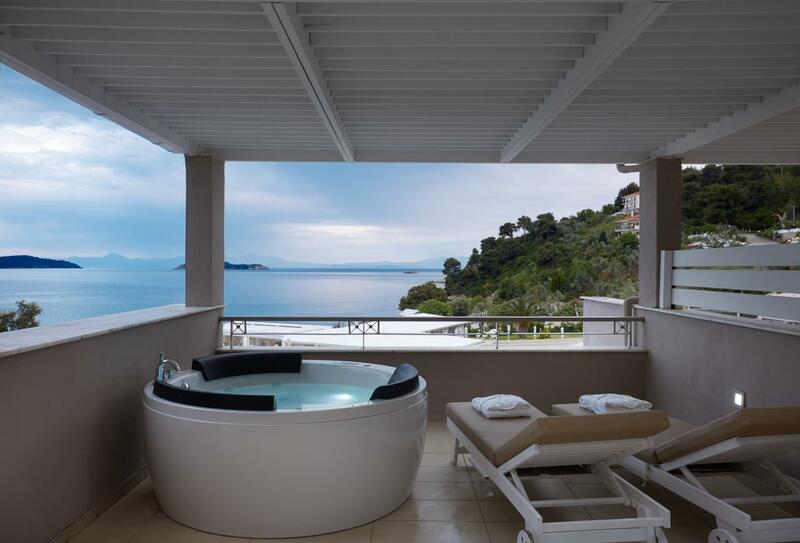 Overlooking views of the sea, the private balcony of this suite is fitted with a luxurious Jacuzzi. 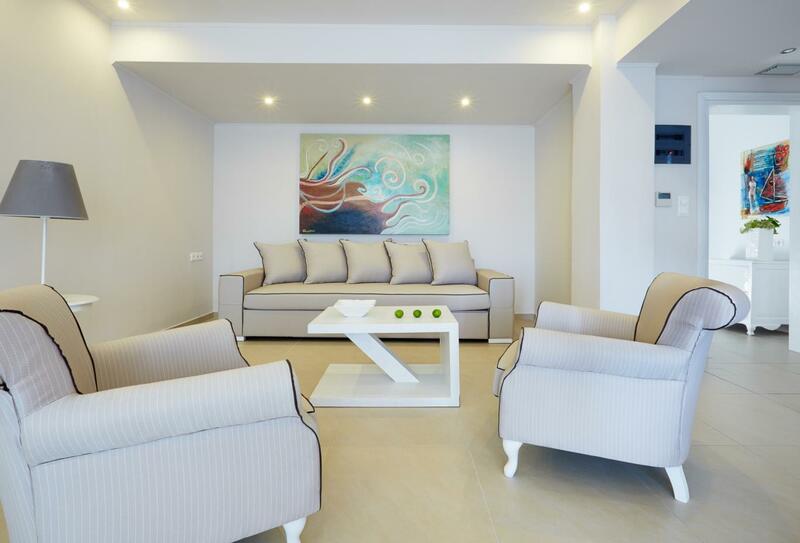 The interiors are flooded with natural light and decorated with white, earth tones. Overlooking garden and sea views, the spacious terrace of this suite boasts a luxurious private pool. Interiors feature white, earth tones and natural light. Occupying up to four people, this suite includes a living area with sofa bed which can convert into a double bed. 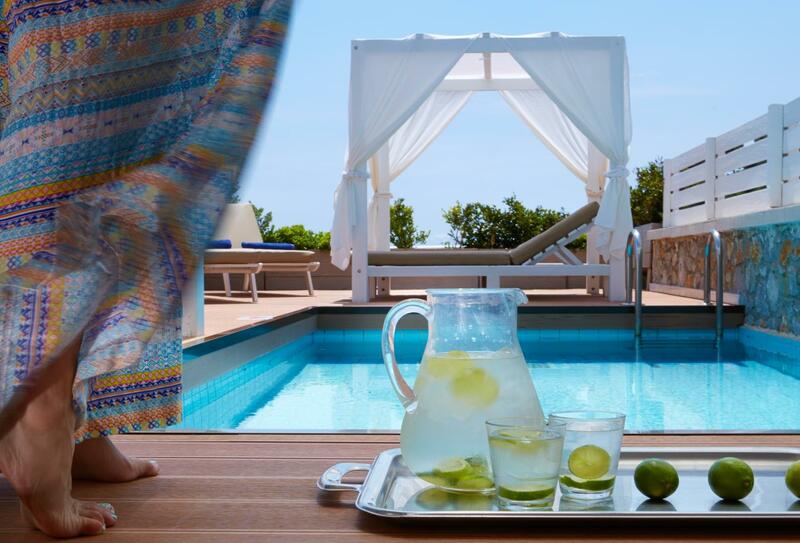 The veranda features a private pool and overlooks views of the garden and sea. 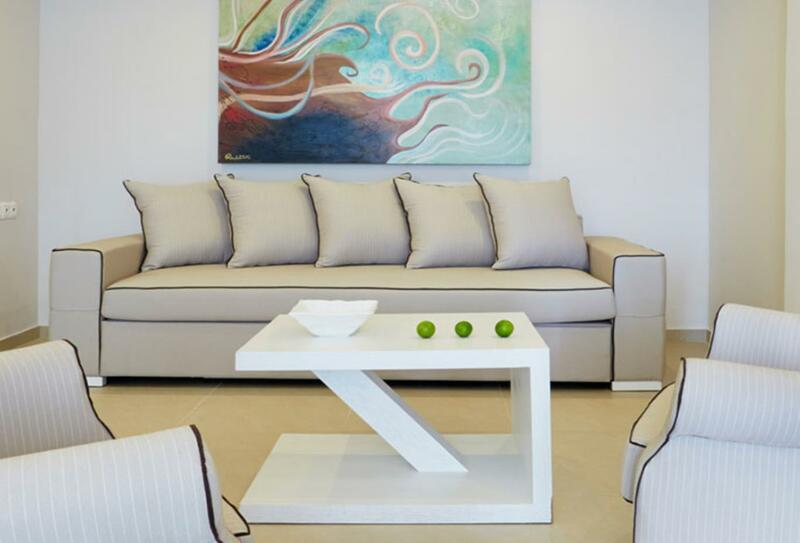 Decorated using a minimalistic tone that utilises white and earthly tones, the Master Suite features its own private pool and an extensive balcony with sun loungers and a dining table. Enjoy a separate living room and views of the garden and sea. 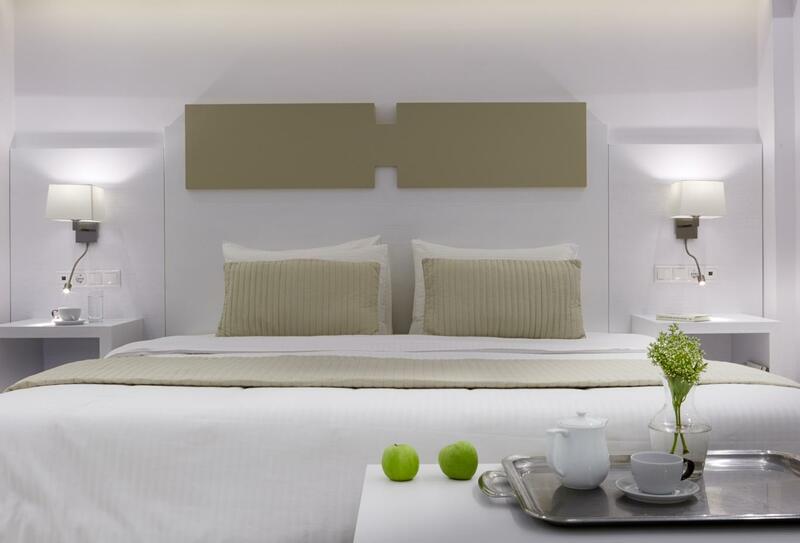 These rooms feature a minimalist design with interiors of light tones and natural light. The private balcony overlooks panoramic sea views. 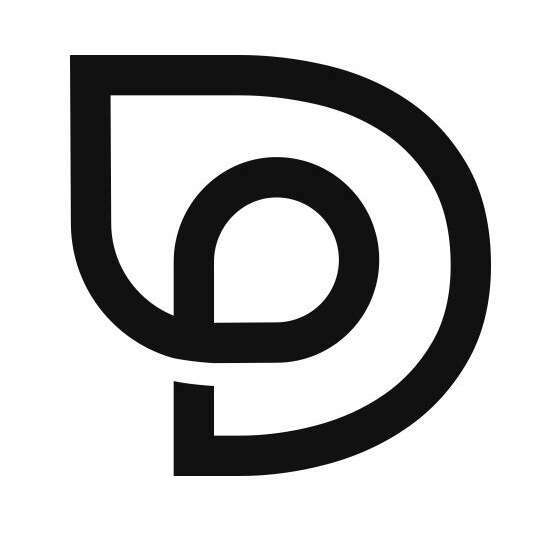 A place of absolute tranquillity featuring a wide range of treatments. Located off the main Lobby, the breakfast area with natural light and views to the gardens offers a relaxed setting where you can enjoy a rich American style breakfast with a wide selection of delicacies served in buffet style. Open air restaurant offering buffet style Mediterranean cuisine embedded with international overtones. A refined but informal, pleasant setting with fascinating views to the pools and garden. A relaxed atmosphere where you can enjoy flavoursome Greek and Mediterranean cuisine. Set alongside the two pools and offering amazing sea views, this inviting retreat offers light snacks and refreshing cocktails. 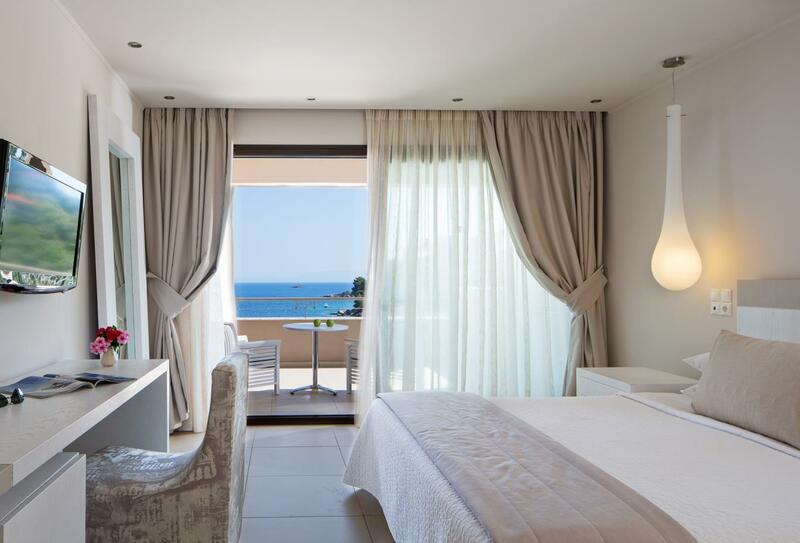 Simply relax and enjoy the tranquil views of the sea. For many, the evening begins at the lobby bar next to the reception, where a refreshing drink can be enjoyed on the terrace overlooking the gardens and pools. KB Resort & Spa is in located in Vasilias just 3km from the town of Skiathos and 4km from Skiathos International Airport (JSI).